The Clube Naval de Cascais and Portuguese SB20 Class Association stablished as organizing Authority, are proud to present the Cascais SB20 Spring Cup 2019, and warmly invite all SB20 sailors to come and sail with us. 1.2 Class Rule C.5.1 does not apply and is substituted by the Attachment A of this Notice of Race. 1.3 In case of conflict the Sailing Instructions prevail over the Notice of Race. This changes RRS 63.7. Competitors may be required to display advertising chosen by the event organiser in accordance with WS Advertising Code – Regulation 20.3.1 (a). Any required advertising material and instructions for their use, shall be distributed at registration. 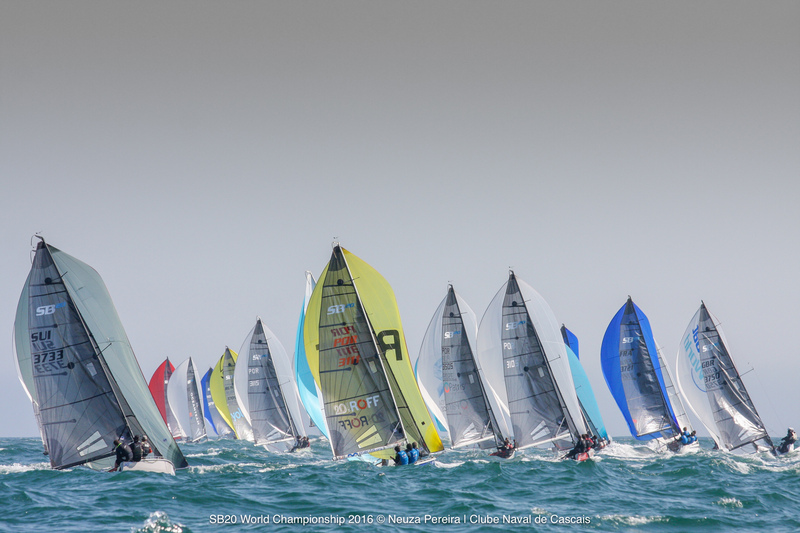 3.2 Eligible boats may enter by completing the online entry form and submitting it, together with the required fee, to Clube Naval de Cascais before 23rd May 2019. 3.4 Each boat has to present at registration a copy of the boat insurance policy and a copy of the boat measurement certificate. 3.7 For non-Portuguese Boats, the entry fee includes 30 days FREE parking before, during and after that Series dates with unlimited craning and in water mooring in the Club Buoys, including on training days outside Series dates. 5.1 Registration will be made on 25th May from 9am to 12pm. 5.3 Number of races: 6 races are scheduled. 5.4 No more than 4 races will be sailed per day. 5.5 On Sunday, no warning signal will be made after 16:00. 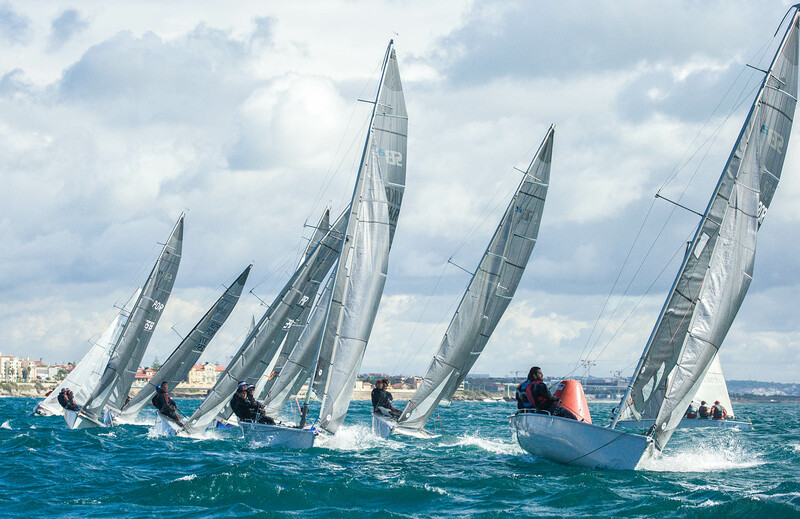 7.1 The regatta will be held on the Clube Naval de Cascais facilities. 7.2 The races will be held on Cascais Bay or on the Guia race areas. The courses to be sailed will be windward /leeward with a spreader mark. Each race will have a target time of 60 minutes. Times different of these will not be grounds for redress. 10.1 One (1) race is required to be completed to constitute a series. 10.2 When 3 or less races have been completed, a boat’s series score will be the total of her race scores. When 4 or more races have been completed, a boat’s series score will be the total of her race scores excluding her worst score. 11.1 Support boats shall be registered at the race office during the registration period. They shall display either an identification flag of minimum size 50 cm x 40 cm with their national letters or their national letters in black on a white background on the cover of their outboard engine. 11.2 Parking of support boats will be charged at the club normal rates. 12.1 Boats shall be kept in their assigned places in the harbour. Except otherwise permitted or requested by the OA, all boats will be moored on buoys in front of the club house or at the Cascais Marina berths. 12.2 The club can also arrange, at competitors costs, a berth at the Marina de Cascais, which must be requested in advanced. Boats shall not be hauled out during the regatta except with and according to the terms of prior written permission of the race committee. A boat shall neither make radio transmissions while racing nor receive radio communications not available to all boats. Electronic equipment other than timers and compasses permitted by the class rules shall not be carried on board while racing. This restriction also applies to mobile telephones. Prizes will be given to the top 3 boats. Clube Naval de Cascais have negotiated with Marina de Cascais special Week Packages for just 16€/2 days at parking Marina Mar. Tickets must be requested until the end of the entry deadline and will be distributed at entry confirmation. The Organizing Authorithy stablished an agreement with the Pestana Cascais Cidadela for its proximity to the Clube Naval de Cascais with the following room prices throughout the year. Prices per room per night with buffet breakfast.